For her blog anniversary, my blogger friend Rowena of Animetric’s World pulled an Oprah with her “Animetric’s Favorite Things Year 1 Contest”. 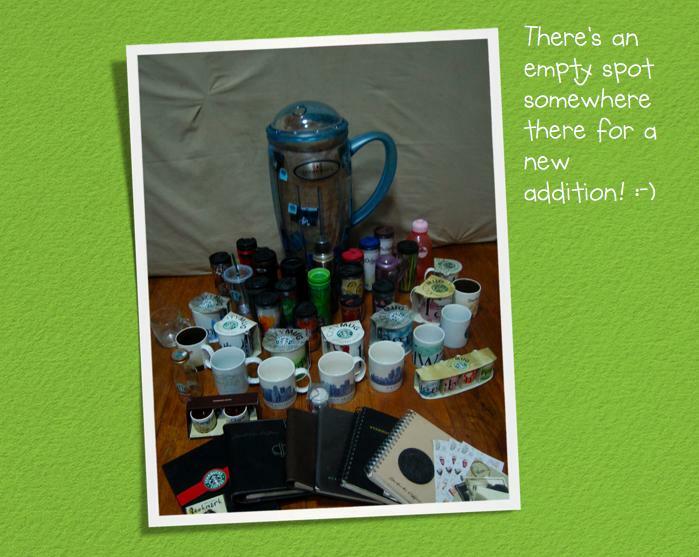 I love all her giveaways but of all, the one I’d love to win from her is one of the two Starbucks Clean and Green Tumblers that are up for grabs. Why this of all the other nice stuff? Well for one, I’m not called addicted to Starbucks for nothing right? 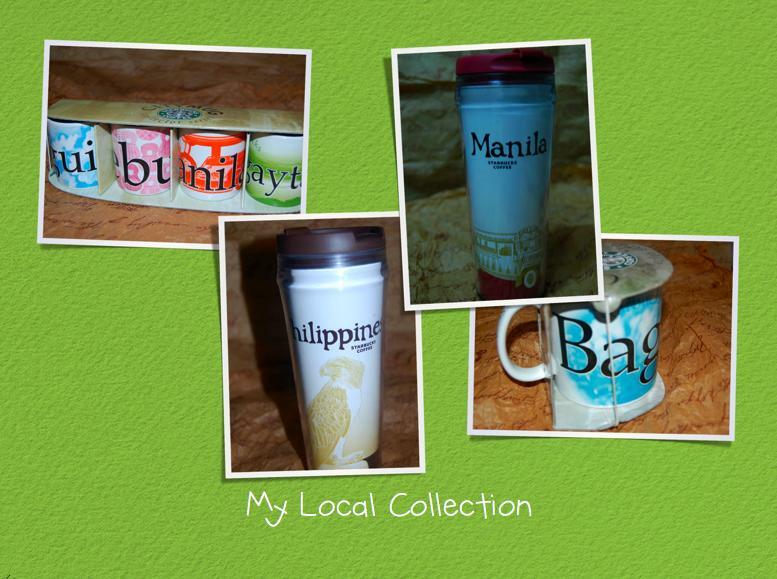 I would love to win this tumbler because for one, it would be a great addition to my growing collection. 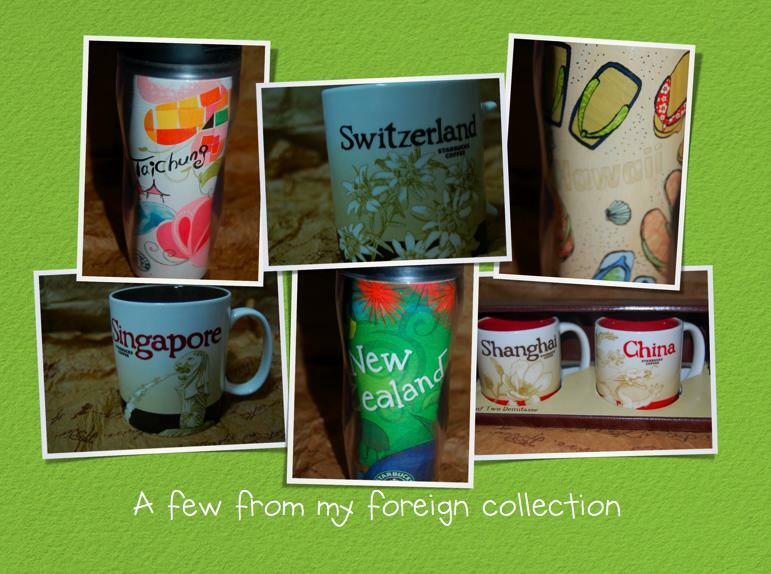 I have different themes in my collection, from local merchandise to City Mugs from countries I or my family and friends have traveled to, and even Holiday and Anniversary tumblers too! 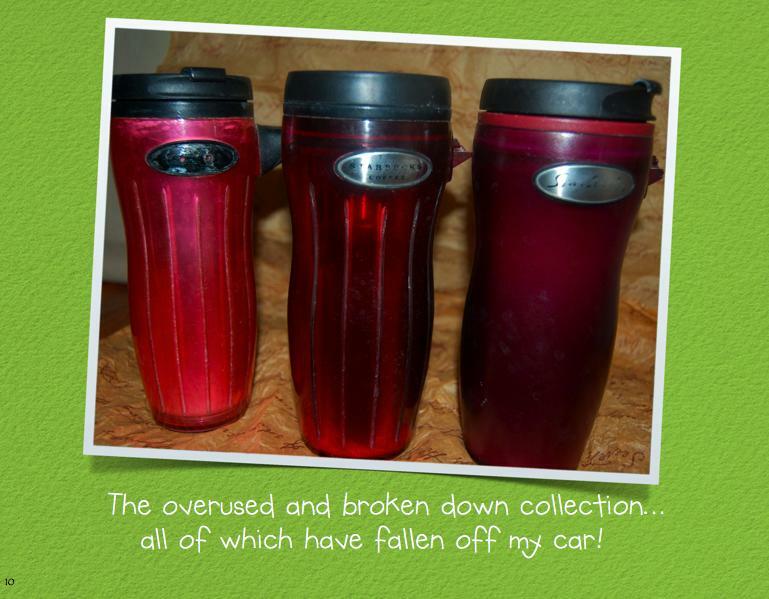 I love my collection so much that even though the tumblers have worn out their newness and have become broken down tumblers, they still deserve a home in my Starbucks shelf. Why should I win this prize then? 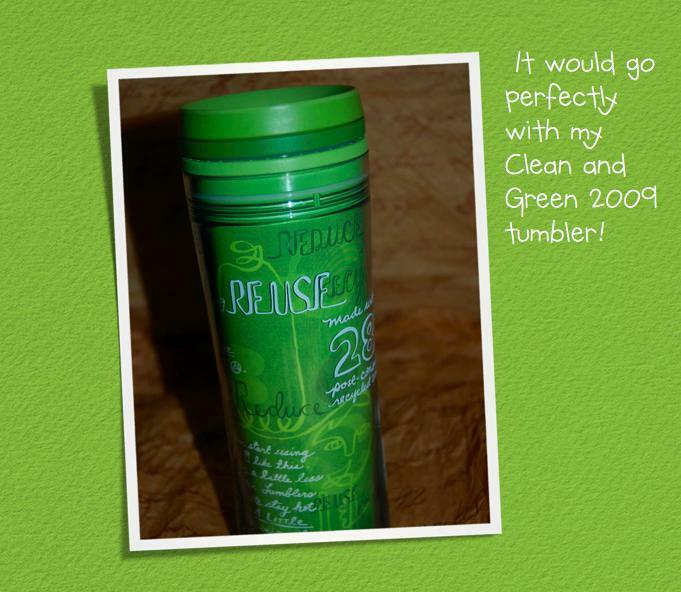 Well, for one, wouldn’t this 2010 Clean and Green Tumbler be a great addition to my Starbucks collection? 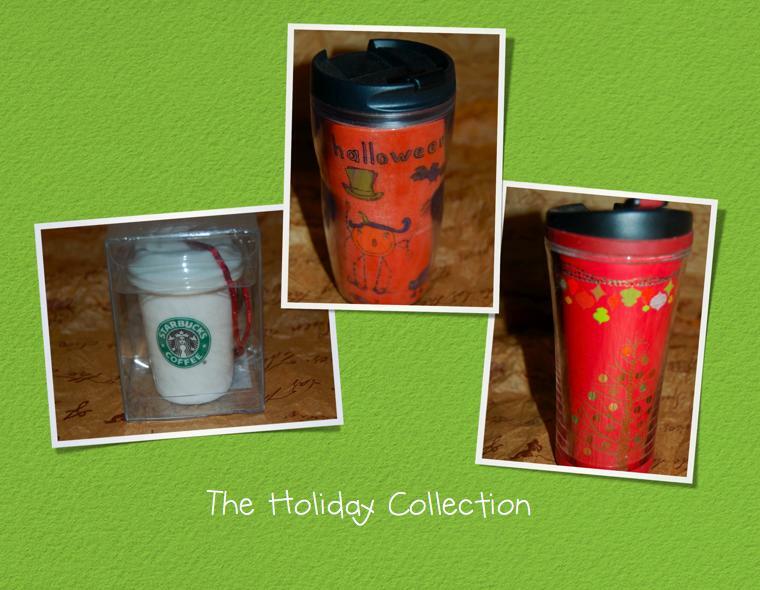 Secondly, it would be a wonderful partner for last year’s clean and green tumbler! On a more serious note, however, the reason why I really want this tumbler is because it represents one of my resolutions for 2010: to be a responsible steward of the earth we live in. Although my collection resides in a shelf, I still use the newer additions before they retire to the shelf. 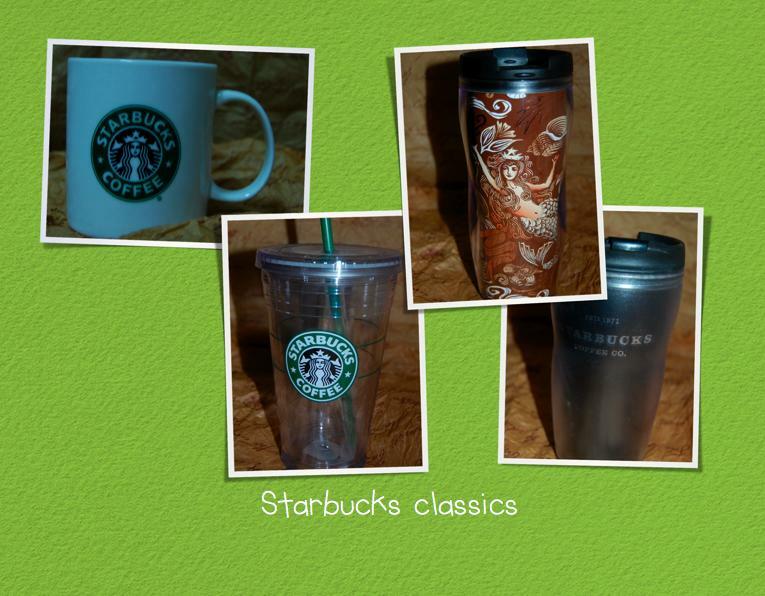 By using these tumblers, I not only save P 5.00 for my Starbucks purchases, it’s one less cup that is used. 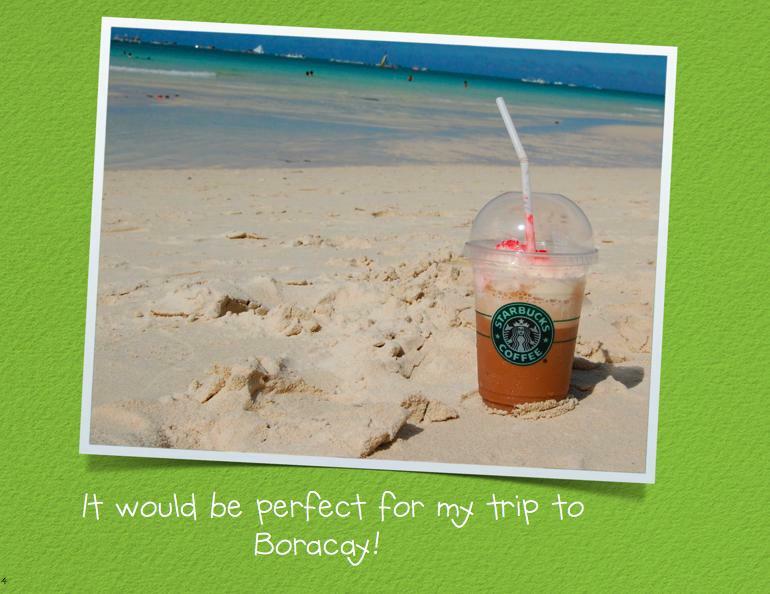 I can just imagine myself enjoying a cool, icy Mocha Frap in the pristine Boracay seashore with one of these tumblers! Last time I was there I didn’t know Starbucks had opened up there already, hence I didn’t have a tumbler ready!!! Starbucks 2010 Clean and Green Tumbler! Lastly, if you were to ask me, why winning this means so much, it’s because of what Starbucks represents to me. More than just the coffee they serve or the cute merchandise, Starbucks represents a home away from home where I can relax, enjoy and build relationships with people around me. 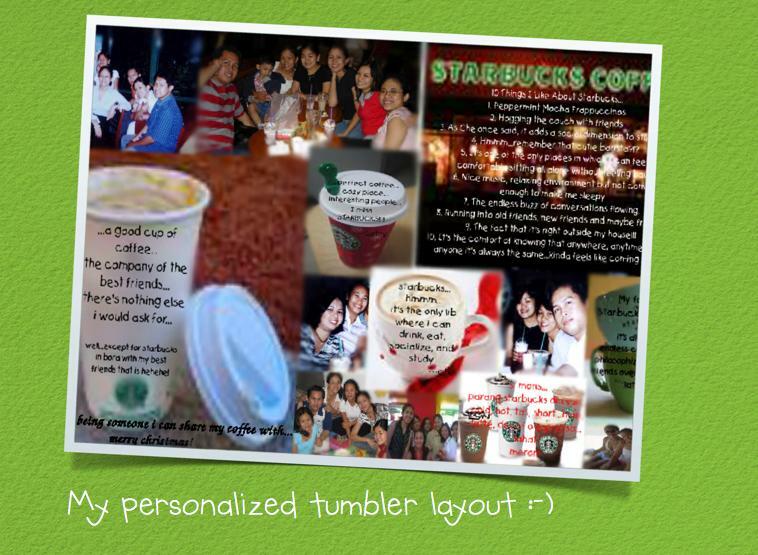 A few years back I gave my best friends one of those personalized tumblers from Starbucks and I made a collage of our photos in it. Even back then, Starbucks was a consistent, reliable source of comfort for me and my friends. the fact that it’s right outside my house!!! it’s the comfort that knowing that anytime, anywhere, or with anyone, it is always the same: kinda like home. This entry was posted on Sunday, March 14th, 2010 at 4:33 pm	and is filed under contests, Random Thoughts. You can follow any responses to this entry through the RSS 2.0 feed. You can leave a response, or trackback from your own site. 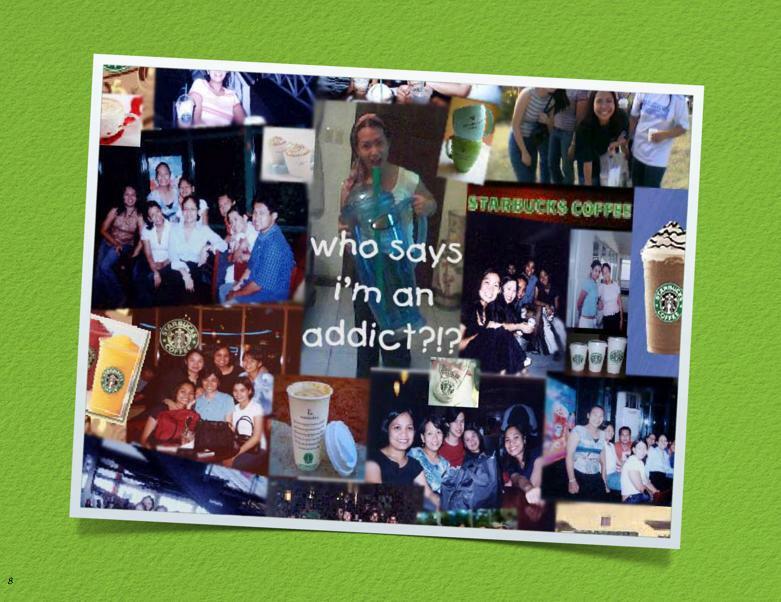 Gesh, you are trully addicted to coffee and Starbucks!! awww…thanks tweena 🙂 pag graduate mo, balatuhan mo ako ng starbucks ha! what happened? did you win the contest? yes 🙂 i did win the tumbler! actually lately i’ve been trying to avoid starbucks coffee…not only is it expensive it’s fattening too! but the collection still stays!!! wow congrats! hahaha fattening din ba ang coffee? okay lang yun masarap naman. You have a very nice collection. I’m not a coffee lover that’s why I seldom go to Starbucks.